There are strict limitations on losses from investments in tax shelter deals, such as limited partnerships. Generally, tax shelter losses can be offset only against income from similar investments. Shelter losses can’t be used to wipe out taxes on nonshelter income, such as wages and stock market profits. However, the tough anti-shelter restrictions are subject to several exceptions for investors. The tax code does authorize limited relief for losses of up to $25,000 suffered by relatively small-scale investors in rental properties, be they multiple-family homes, condominiums, cooperative apartments, or stores. To qualify, property owners must be “active” managers. This requirement isn’t especially demanding. All that the landlords have to do is help make decisions on such essentials as approving new tenants, deciding rental terms, and approving capital or repair expenditures. They needn’t personally mow lawns, make repairs, or answer middle-of-the-night calls from tenants. So long as the owners actively participate, they can delegate day-to-day operations to managing agents or others hired to collect rents and run the properties. Under this special exception, lower- and middle-income landlords still get an annual offset of as much as $25,000 of their losses against other income. Note, though, that the ceiling drops from $25,000 to $12,500 for married persons filing separate returns and living apart at all times during the year. The law bars any offset for married couples who live together and file separate returns. The full deduction of up to $25,000 is available only for individuals with adjusted gross incomes (AGIs) below $100,000, disregarding any shelter losses. The offset shrinks by $1 for each $2 of AGI beyond $100,000 and vanishes completely when AGI surpasses $150,000. For someone with, say, an AGI of $110,000, there is a $20,000 cap on the write-off for a rental loss. Anyone with an AGI above $150,000 is ineligible for this tax trimmer.Some other fine print worth noting is that the break is authorized solely for an investor who owns at least a 10 percent interest in the property. But this, of course, includes “mom and pop” investors who acquire one- or two-family homes and other small properties.An example: Alex Vennebush, a retiree in Virginia, owns a small apartment building in New York and retains an agent to run it. Alex can use up to $25,000 of tax loss from the property to shelter other taxable income, as long as his AGI is under $100,000 and claim at least a partial deduction if AGI is under $150,000. IRS audits. Claiming rental losses increases the likelihood of your return drawing the attention of the tax enforcers. The IRS suspects that many investors are incorrectly deducting losses because of the complexities created by restrictions on shelter write-offs. 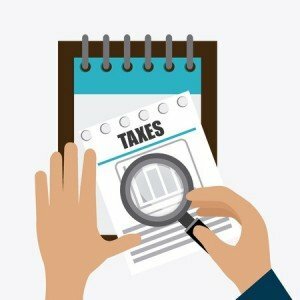 If you’re audited, expect the examiner to require proof of your active participation in management decisions, ownership of an at least 10 percent interest, and correct computation of the deduction under the AGI test.